MH GoPower’s core technology is the proprietary and patented silicon based Vertical Multi-Junction (VMJ) cell, originated in the US and advanced, mass produced, and commercialized by the team in Taiwan. Key MIH® VMJ PV cell related IP was purchased from the US in 2011 and there were 6 US patent applications filed for proprietary innovations developed in Taiwan. 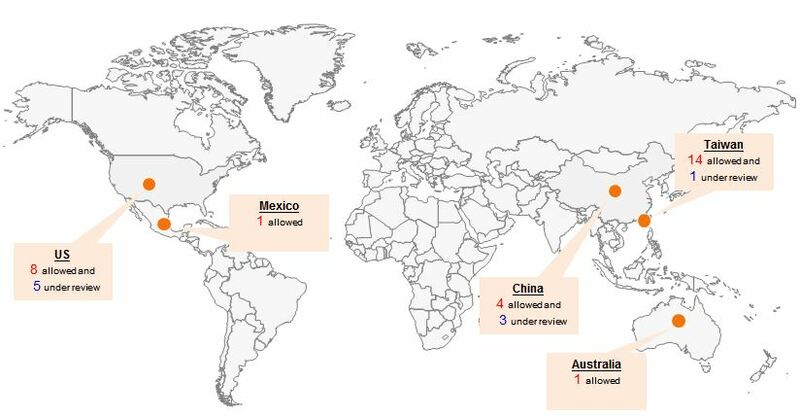 Total of 8 US patents, 14 TW patents, 4 CN patents and 2 PCT patents were granted.